With its 96x32 dot matrix LCD you can view it, as you wrote it down (WriteView), ie. While editing and when results are shown. 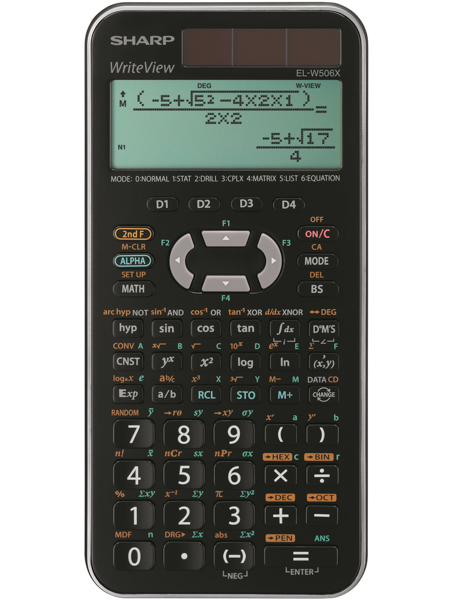 With impressive 556 functions, the EL-W506X covers all kind of school and university tasks! It is ideal for students studying general math, algebra, geometry, trigonometry, statistics, biology, chemistry, and general science. Hard cover protects from scratches.